Do you want to be an FFA Ambassador for Give FFA Day during National FFA Week? Below we have many tools for you to use. 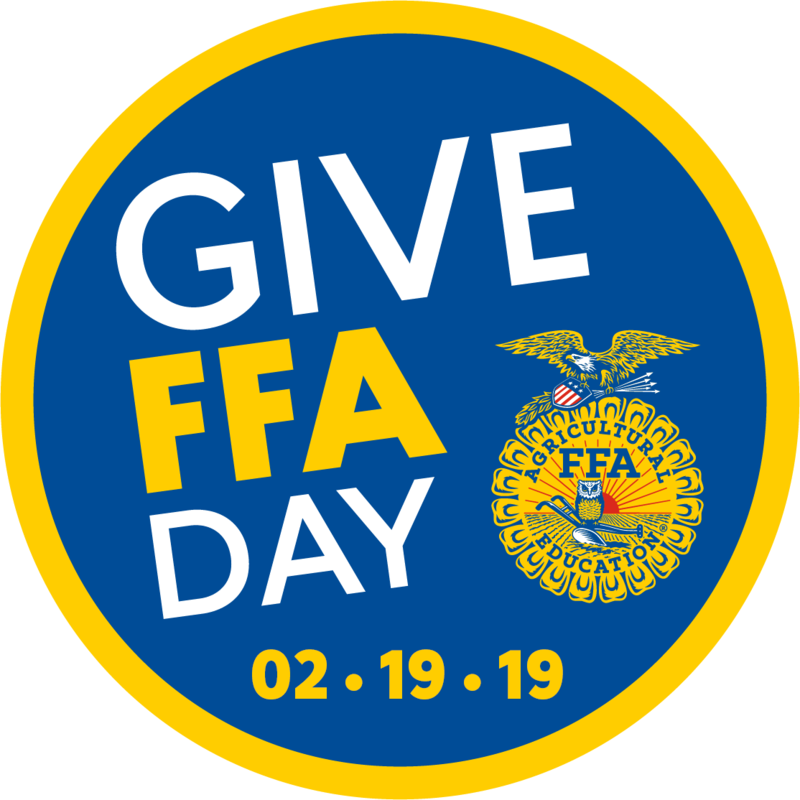 Give FFA Day is as much about sharing your love of FFA as it is about making a gift to support FFA. Are you FFA proud? We want you to share why you loved FFA as a member, why you love FFA as an alumna/us and/or parent and we want you to share why you support FFA. Below are ways you can help spread the word, including social media sharing, talking points and a sample email if you prefer to network that way. One Day. One FFA. Real Impact. How to be an FFA Ambassador. Through Feb. 20, we will share social media posts from @NationalFFA about Give FFA Day. All posts will be tagged with #GiveFFADay. Share these with your personal networks. Change your profile photo on social media for #GiveFFADay and #FFAWeek! Below are profile photos for your Facebook and Twitter profiles. 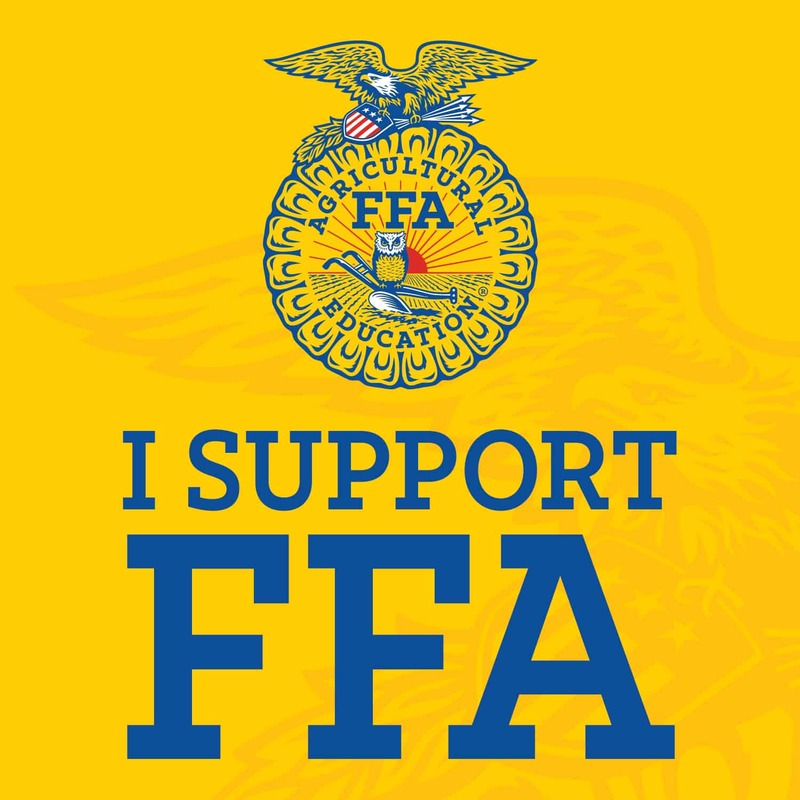 I support FFA on #GiveFFADay because FFA supports me! Create your own personal fundraiser for National FFA –with no costs! That means 100 percent of every gift you, your friends and family make to your National FFA fundraiser will go to the National FFA Organization. Click Fundraisers on the left menu of your News Feed. Select National FFA Organization, choose a cover photo and fill in your Give FFA Day fundraiser details. From the fundraiser, click Invite. Click Invite next to the friends you want to invite to join Give FFA Day! Do you need a good reason to call a friend or family member? If you prefer sharing your support with others by phone, we encourage you to do so. Below are a few of the talking points that we have created for you for Give FFA Day. Nevertheless, remember that you know your fellow FFA members and colleagues best, so share your story and ask them to support FFA on this special day. Donate online at FFA.org/giveFFAday or call 1-888-332-2668. If they have given previously, encourage them to give at the same level they gave last. If they have never given before, encourage them to donate a jacket to a member who cannot afford their own ($80): FFA.org/giveblue. Thank them for their continued support whether they give or not. Send an email to your friends, family, and colleagues. Emails generate more than 29 percent of annual charitable gifts! Sending an email to your friends can make a big difference on Give FFA Day. Below is a sample you can copy and paste into your own email. You know your friends best, so please feel free to edit the email as you see fit. I hope by now you have heard about the National FFA Organization’s Give FFA Day. It is an exciting time for the entire FFA community to come together to show our support of FFA members, agricultural educators and the impact they have on our schools and communities across the country. I’ve made my gift as part of Give FFA Day and I hope you will join me in making one, too. I made mine because of the wonderful experience FFA was at a pivotal time in my life. Without the opportunities FFA program, I would not be who I am today. To make your gift you can visit donate.FFA.org or by calling 1-888-332-2668. 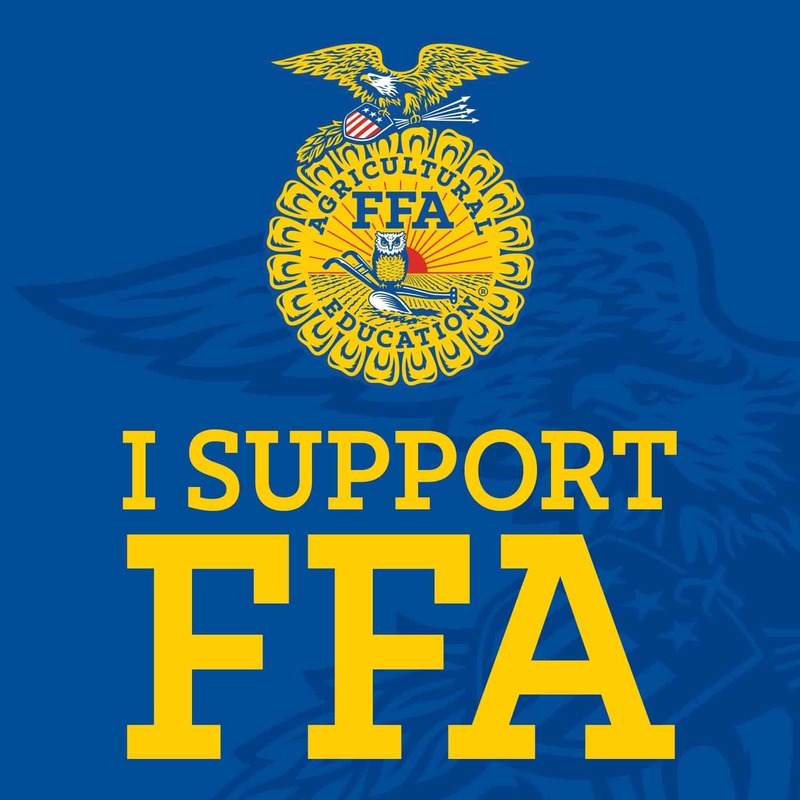 Thank you in advance for supporting leadership and agricultural education through FFA, and providing much needed financial support for members as they work to serve their communities, grow as leaders and pursue careers in agriculture to feed our growing population. One Day. One FFA. Real Impact. Happy Give FFA Day!